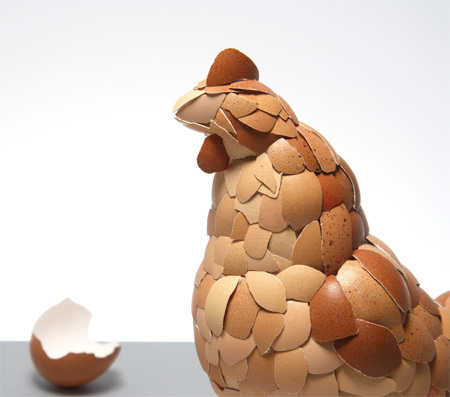 Wonderful sculpture created out of eggshells by British artist Kyle Bean. 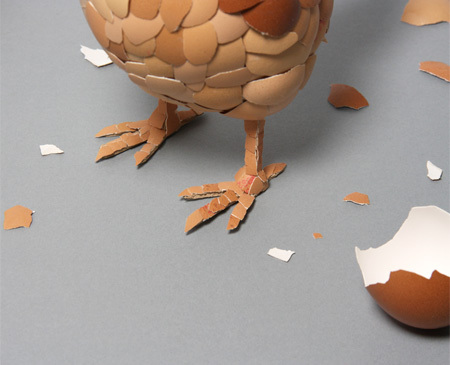 Eggshell Chicken asks you: Which came first, the chicken or the egg? Obviously the egg was taken cared by the chicken and voila – a new chicken is born to create more chicks! 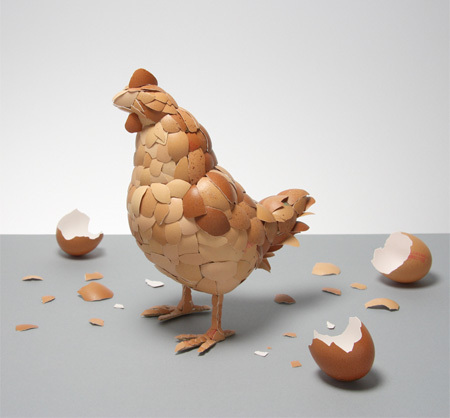 NOW WE KNOW WHAT CAME FIRST…. 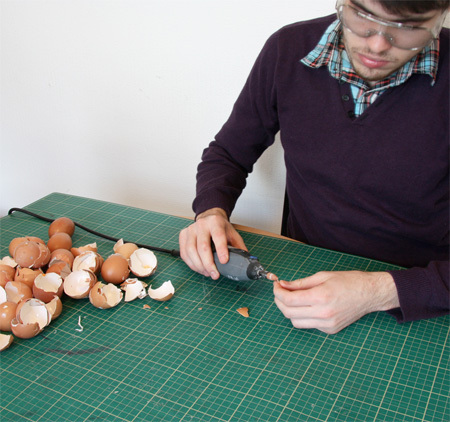 THE EGG SHELLS! The egg came first cuase 2 birds mated and the egg came, containing a chicken.